In the past decade, internet or online betting has become a serious contender in the gambling industry. From its humble beginning in the early 1990 with websites that boasted up to 15 casino games to today’s billion dollar industry, online gambling is here to stay. There is not any doubt in anyone’s mind that online gambling will one day overtake traditional gambling. The question we are answering in this report of traditional betting vs. Online Betting is when this will take place. And once it does happen whether, there will be room for the traditional betting at the end. Using historical statistics and current gambling trends, this report will go into the heart of the matter. The first known casino in the world was the Ridotto in Venice, Italy in 1638. Today, they are close to 3,000 casinos in operation worldwide. Interestingly enough, the majority of these casinos are located in North America which had 1,623 casinos in 2011. On the online side of the business, it is impossible to say the exact number of online gambling websites they are because hundreds of new betting websites pop up every year. We can however make an educated estimate that they are close to 4,000 online casinos and gambling websites in the world with the majority of them being unlicensed operations or white label operations. 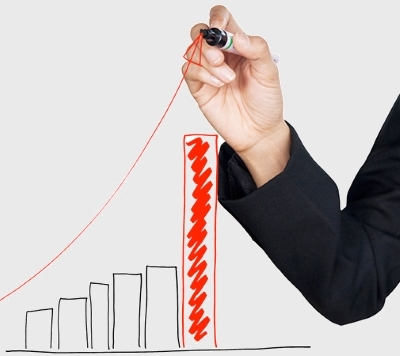 Online gambling revenues are growing at the incredible rate of 10.81% CAGR. $12 billion in revenue was earned in 2005, $29.3 billion in 2010 and $45.86 billion in 2016. 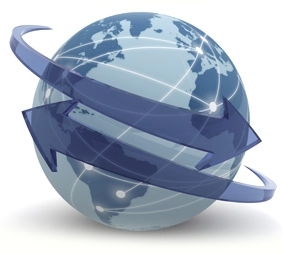 The global online revenues are expected to double by the end of 2024 to $96.89 billion in revenue. 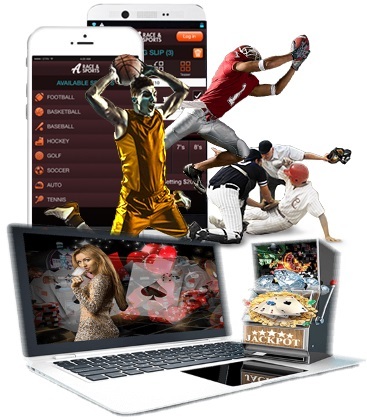 The online betting segment is anticipated to dominate the market with more than 45% of the total market share by 2020. Several countries that offer legal sports betting only offer gambling on specific sports and only offer certain types of bets. Every government in the world is looking for new sources of income. This is why more and more government and lawmakers are in support of online betting expansion. The legalization of online betting is gaining at an incredible rate with the recent strings of land-based casino closing. Cost Efficient – The start-up cost of an online gaming operation is substantially less than a casino. A company or individual can open an online gambling operation at a fraction of the cost because they do not have to worry about a physical infrastructure and a large employee overhead. Comfort – An online gambler does not have to leave the comfort of their home to bet on sports or play any casino games which appeals to many gamblers. The idea of not leaving home every time a player wants to place a bet is also an appealing factor in favor of an online casino. From the view point of a gambling operator, the perfect solution would be to have a perfect mixture of a land based operation and an online betting operation to maximize profitability. 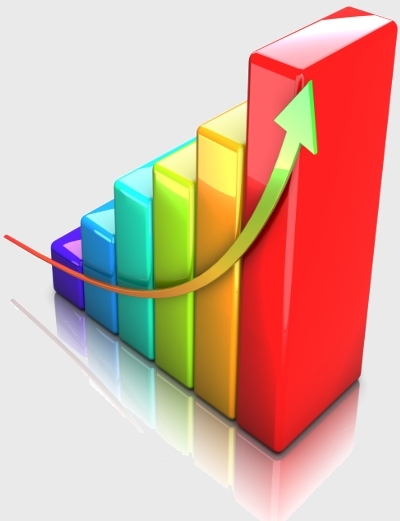 Online sports betting software providers are also seeing an increase in sales around the globe. Especially in the white label gambling software and the sportsbook pay per head industry. The gambling pay per head industry is expected to have a 14.54% growth by 2020 as they push their expansion into the Asian market. The expansion of land based betting operation is much slower than an online betting operation. The reasons are obvious since a land based casino has many more needs and planning to make before they can open their doors to the public. 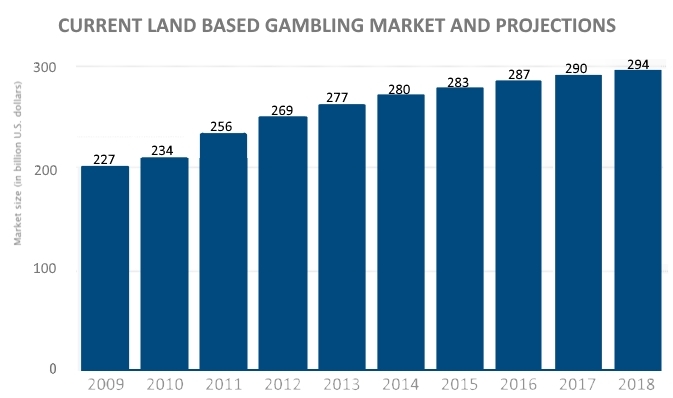 The gross gambling revenue of land based casino has been steadily increasing at an average annual growth between of 1.06% to 2.2% according to various sources. The gross gambling revenue of land based casino has been steadily increasing on a global basis. The United States had experienced a slump in the New Jersey area due to an oversaturation in land based casinos, the rest of the United States and Canada did fairly well. Several States in the U.S. are adopting or planning on legalizing casinos, sportsbooks and other types of gambling operations which will of course lead to a growth in revenue. In addition, casinos and other land-based gambling institutions have done fairly well expanding into current market and into new markets. 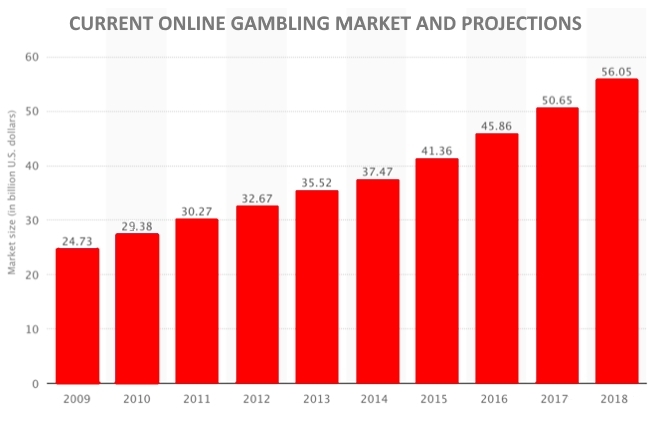 Several gambling equipment providers also expect their market compound annual growth to rise to 15.25% between now and 2021. This is due to several countries lifting or easing their gambling restrictions. 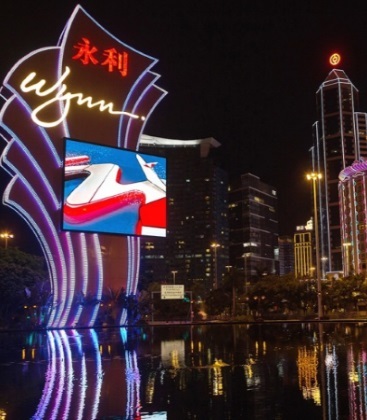 The Asian Gambling Market has grown at a much larger rate thanks to the opening of several casinos in Macau and southeast Asia. Several more casinos are currently being built in Asia while other casinos are still in the planning stage. In the end, the revenue of online betting and casino operations will certainly overtake the traditional land based casinos. However, the land based casino will always be around. Only a land based casino can give a player a one of a kind experience. 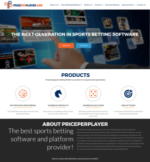 Special thanks to PricePerPlayer.com, 777iGame and SportsbookSOS for providing us with important internet gambling insight, information and online gambling statistics.